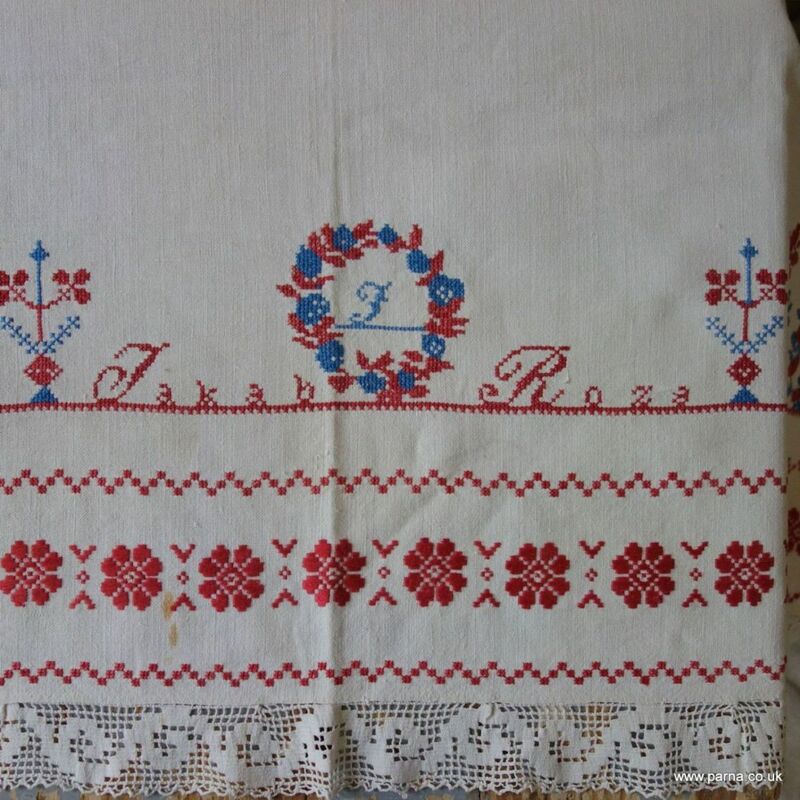 Antique embroidered piece from Transylvania. This was painstakingy embroidered as a dowry piece, it would have been used to decorate the decorative bed in the traditional best room ( for more information on this tradition see here ). This pieces dates from early 20th century. Overall ecellent condition. There is a rust mark as shown and another slight discolouration.